The development of the tenth installment of the Ubuntu operating systems has been kicked off early November and it will take until the 23rd of April to complete. That is good news for all the Ubuntu fans that are called George, because that is when we celebrate St. George. Leaving the frivolities aside, the first Alpha build of the Jaunty Jackalope is due to drop on the 20th of November, which is like four days away if you do not much care to count the weekend as well. According to the schedule provided by the Ubuntu team, there will be a total of six Alpha releases, one Beta, and one release candidate. The alphas will drop on the following dates: December 18, January 15, February 5, February 26, and March 12. The Beta version should come out on the 26th of March, and the release candidate on April the 16th. If all goes smoothly and according to plan, by the end of April we should get to play with the final version of Ubuntu 9.04. The overall goal that the Ubuntu team is trying to achieve is this: the best open source operating system ever to come out of Canonical Ltd. That sounds like big order to fill, so I thing specifics are in order. Here are some of the issues the Jackalope will take a swing at: improved boot time, blurred web services and desktop tools, and Bazaar migration options. 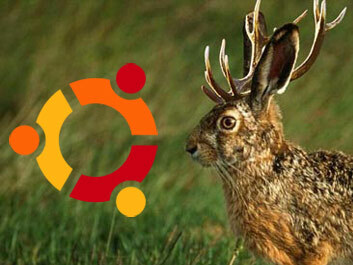 “The Warrior Rabbit is our talisman as we move into a year where we can reasonably expect Ubuntu to ship on several million devices, to consumers who can reasonably expect the software experience to be comparable to those of the traditional big OSV's—Microsoft and Apple,” said Mark Shuttleworth, founder of Canonical Ltd.